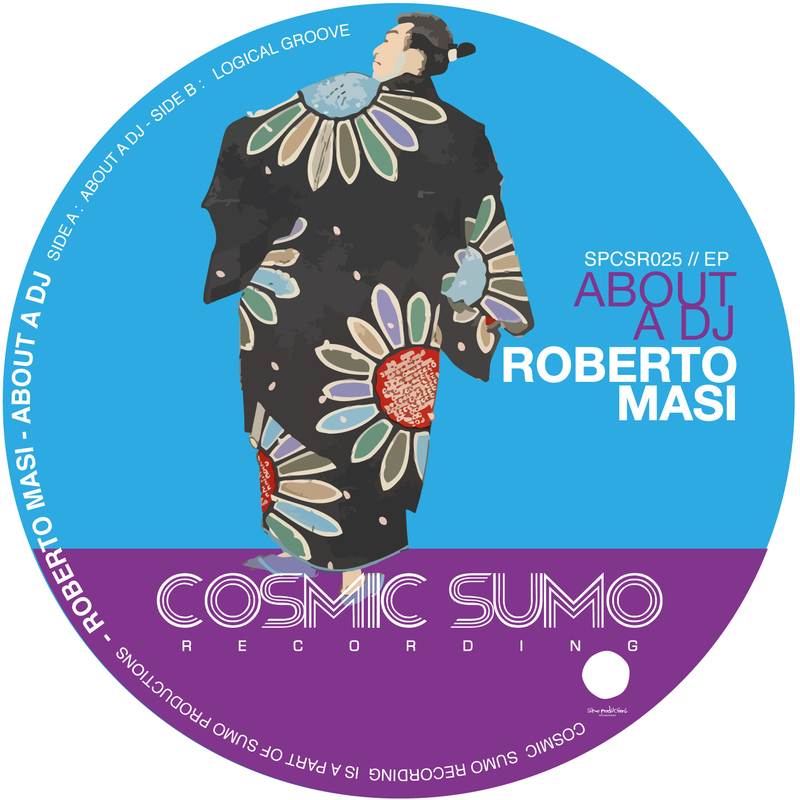 On the imprint’s first release of 2019, Cosmic Sumo label welcomes a storied veteran of the Italian house scene: former Flying Records and Mantra Vibes regular Roberto Masi. Shockingly, “About a DJ” appears to be the Palermo-based producer’s first release for 15 years. He hits the ground with the title track, a fine fusion of chunky deep house tropes, jammed-out Fender Rhodes motifs, rubbery disco bass and vintage hip-house vocal samples. “Logical Groove”, meanwhile, fixes nu-disco style synths and electronics to another fine deep house groove, with Masi emphasizing bold riffs, atmospheric drops and deep space electronics.